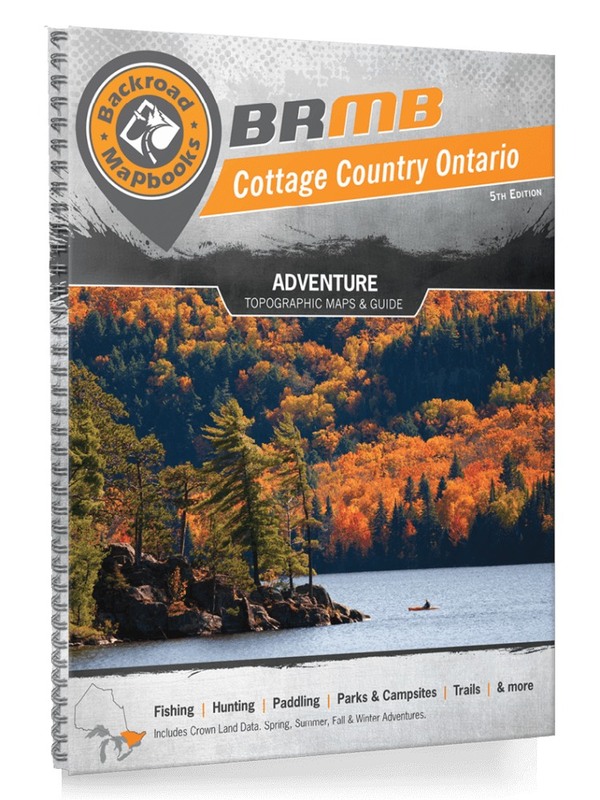 These recreation topographic maps for Cottage Country Ontario highlight all the logging/resource roads, hunting areas, fishing lakes & streams, campsites, paddling routes for canoeing and kayaking, wildlife viewing areas, motorized trails for ATVing and snowmobiling, multi-use trails for hiking, mountain biking, backcountry skiing & more. Featuring 106 maps at 1:150,000 scale, this Mapbook covers 114,160 km2 (44,075 mi2) in total. New features include enhanced Crown land data, countless new roads and trails and a wealth of recreational Points of Interest. Included on these maps are Algonquin Provincial Park, Bancroft, Barrie, Barry’s Bay, Belleville, Bon Echo Provincial Park, Brockville, Cornwall, French River, Georgian Bay Islands National Park, Haliburton, Huntsville, Kingston, Minden, North Bay, Ottawa, Parry Sound, Pembroke, Peterborough, Perth, Petawawa, Queen Elizabeth II Wildlands Provincial Park, Renfrew, Thousand Islands National Park, Toronto, Trenton and more!